The Auzom OCE-SEA Cup is a FPP Squad tournament. Each match day will consist of four rounds. Invitations will be extended to 16 teams. The remaining 16 slots will be subject to a written application. The signup window will be open from the 23rd of June until the 27th of June. Successful applicants will be notified on the 30th of June. 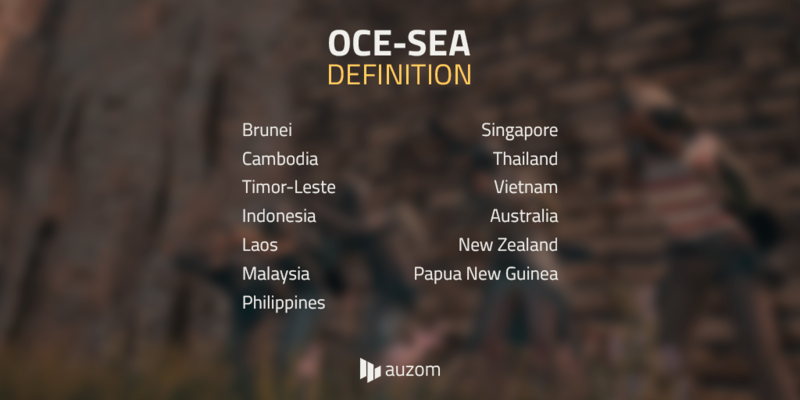 Captains and players of invited teams are not allowed to publicly announce that they have been chosen to play the OCE-SEA Cup until this has been announced on the official Auzom social media channels. We wish to ensure that all participants within the Auzom PUBG events act and respond to user and staff content in a constructive and responsible manner. For the OCE-SEA Cup, all competing teams will be randomly allocated into one of two lobbies. Thereafter the Auzom Global points system will be utilised and lobbies will be seeded each Gameday accordingly. Earned points will go to an overall scoreboard. The top 16 teams after four days of matches will progress to the Auzom Premier League Season 3. Region Restrictions: A team must always have at least 2 players playing from within the region in any given match. If a team plays a match with more than 2 players from outside the region, the scores of that match will not be counted towards the final score of the team. Region definitions. Player history: A team is not allowed to make use of more than 8 different players per season. Deadline for any changes to the roster is 2 hours before game start. All rosters will be locked in the first Gameday, after that no changes to the roster can be made. A player may only be registered to one (1) team at a time. Replay requests will be done each week, when randomly selected players will be asked to send their replays.